Are you looking for a stunning blue award that will 'wow' your boss, your co-workers, and your award recipient? 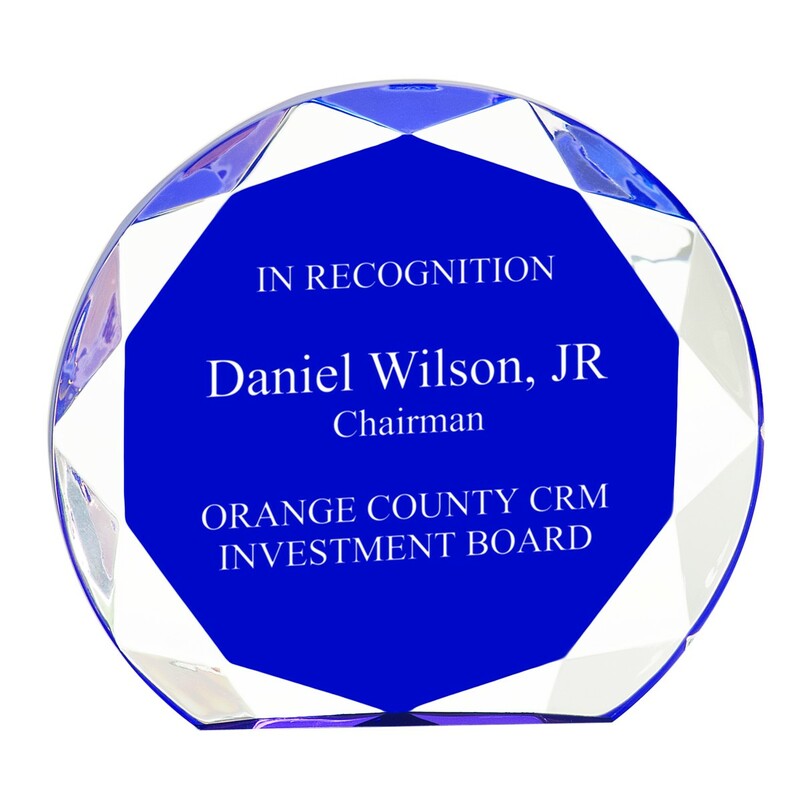 Take a look at our Blue Sunburst Acrylic Award! 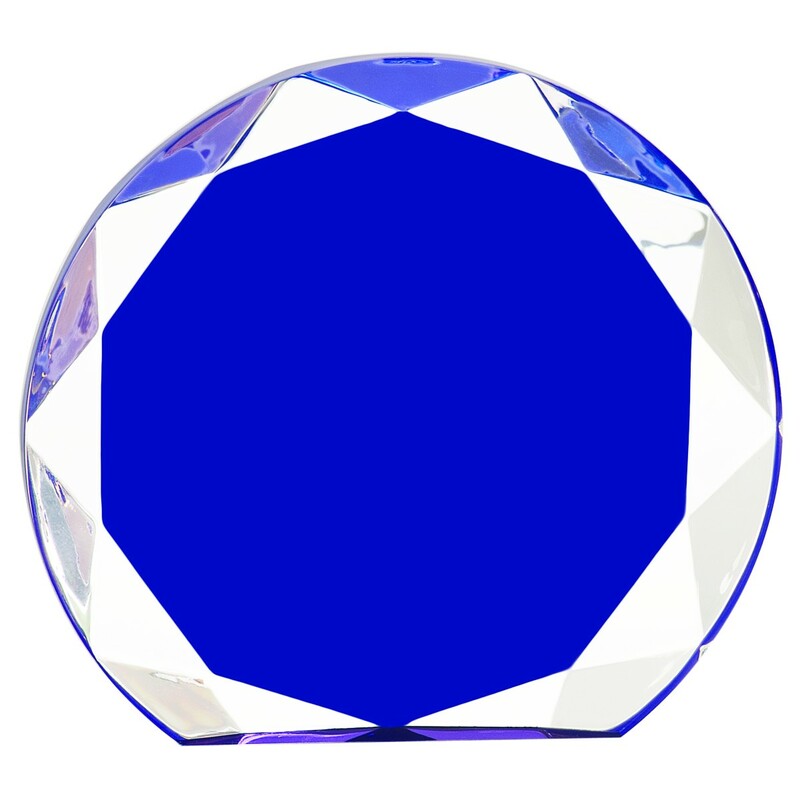 Made of heavy one inch thick acrylic, this self-standing award features solid cobalt blue middle with clear faceted edges. The edges sparkle and shine in the light! 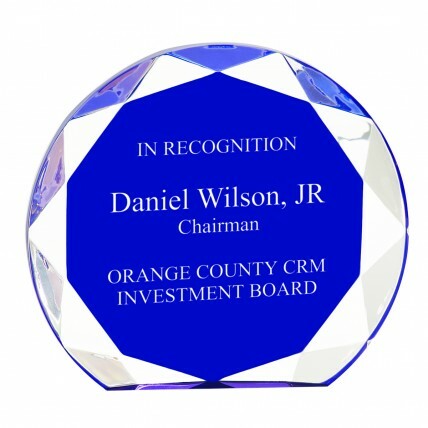 Includes up to 8 lines of frosted engraving in the price of the award. S:4-5/8" X 4-5/8" ; M; 5-1/2 x 5-1/2; L: 6" X 6"